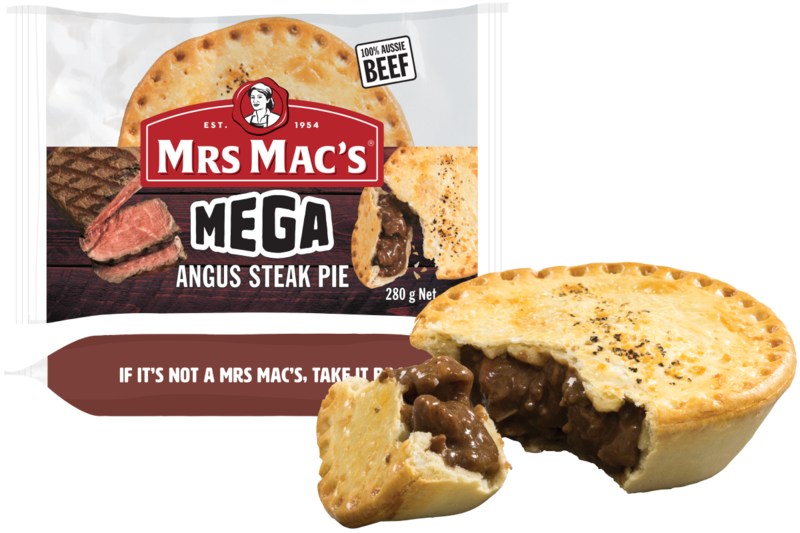 A mix of diced and minced 100% Australian Angus beef in a rich, tasty gravy, wrapped in our crispy, golden pastry, topped with cracked black pepper in a mega 280g size. Made in Australia from at least 90% Australian ingredients. 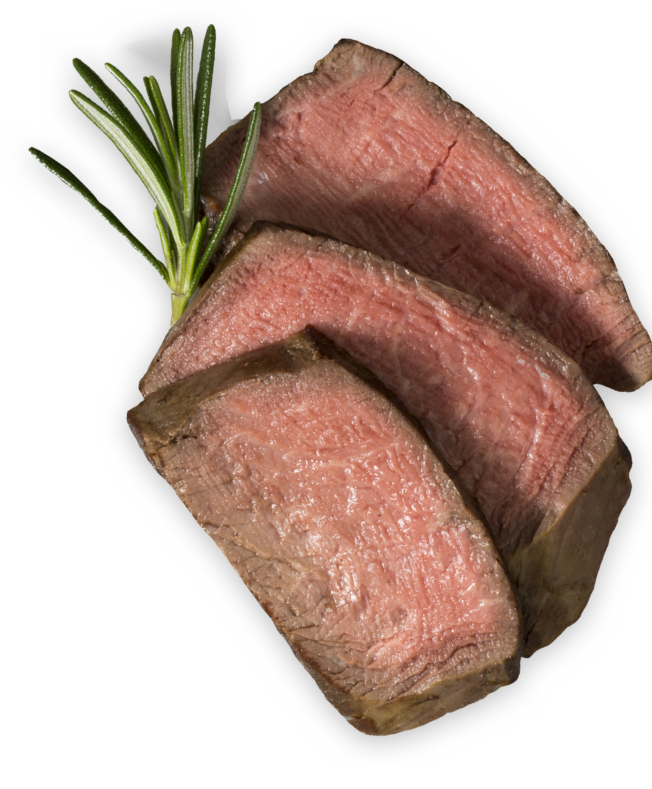 Verified Angus Beef (Minimum 25%), Wheat Flour, Water, Margarine [Vegetable Oil and/or Animal Fat, Water, Salt, Emulsifiers (471, 472c and/or Soybean Lecithin), Antioxidants (304 and/or 320), Natural Flavour and/or Flavour, Natural Colour (160a)],Thickener (1422), Seasonings [Soy, Wheat, Flavour Enhancer (635), Colour (100)], Flavour [Soy, Wheat, Colours (150a, 150c), Flavour Enhancer (635)], Salt, Breadcrumbs [Wheat], Hydrolysed Vegetable Protein, Colour (150c), Sugar, Spice, Glaze [Milk, Natural Colour (160a)]. OVEN (Recommend cook in wrap): Preheat conventional oven to 180 °C (350 °F) or fan forced oven to 160 °C (320 °F). If Defrosted: Cook for approximately 40 mins. If Frozen: Cook for approximately 55 mins. MICROWAVE (1000 watt, individually cooked): For best results, remove product from packaging and wrap in paper towel. If Defrosted: Cook on High for 2 mins 30 secs. Let stand for 2 mins. If Frozen: Cook on High for 4 mins. Let stand for 2 mins. CAUTION: Product may be very hot after cooking.